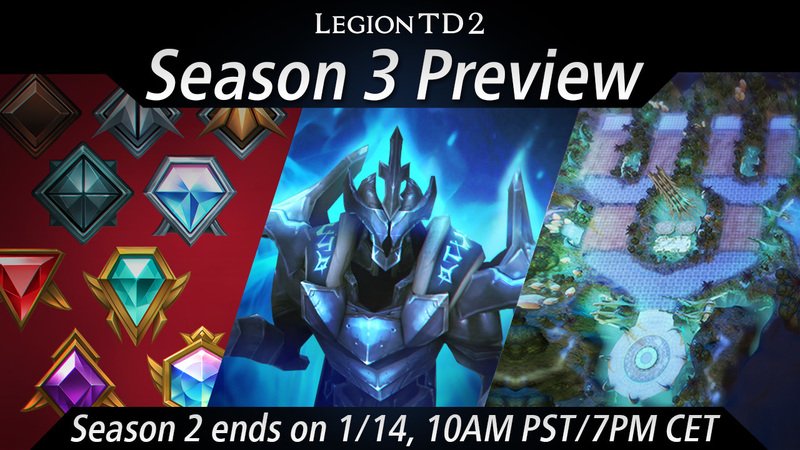 Legion TD 2 - Season 3 is coming! HAPPY BIRTHDAY, LEGION TD 2! Lisk, Curing, and I are grateful to each and every one of you. 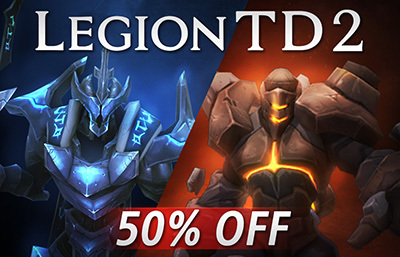 To celebrate, Legion TD 2 will be on sale from November 21-27! Reach at least level 4. Upgraded for each level you reach beyond 4. You must hit at least level 4 and play at least 10 Normal games this season to achieve any of the ranked badges below. Before season 3 begins, all ratings will be soft reset (shifted towards 1200). During the pre-season, there will be no rating changes. On 1&sol;14, patch 3.0 will be released, which will include some major changes to the game. In season 3, we’re adding a new major game mechanic with the introduction of king upgrades. The exact design will look different than the king upgrades from Warcraft III Legion TD, but we believe it will increase the game’s depth and serve as a proper tribute to the mod. We’ve heard your feedback about wanting 4v4. Instead of limiting 4v4 to custom games, we’re creating a Classic 4v4 queue that will use Speedy Matchmaking (forms a match as soon as possible and shuffles teams based on rating, while preserving parties). Depending on reception and popularity, we’re open to the idea of supporting 4v4 with ratings and leaderboards in the future. We’re making Ranked 2v2 Mastermind-only, while still allowing legions to be played in the Tutorial, Play vs. AI, Classic 4v4, and Custom games. This levels the playing field for ranked and leads to more dynamic games. We want players to have a place to practice new strategies and to have fun and progress in a PvE environment. We’re introducing Play vs. AI with selectable bot difficulty to provide a challenge for new players and veterans alike. These changes are still 8 weeks away, so they are subject to change. As always, we’re open to suggestions! In general, we’re slowing down balance patches in favor of large-scale infrastructure changes to improve and grow the game. Featured Game Mode - Details coming soon! Shop - Time to spend that Essence! Growing the Team - We’re bringing on a second engineer. Details coming later!